City Weekend is China’s leading English-language lifestyle and entertainment magazine and website. They come out every two weeks in Beijing and Shanghai and their circulation is around 80,000 per issue. The best food and drinks, nightlife, music, art, community and lifestyle are always featured in this magazine. 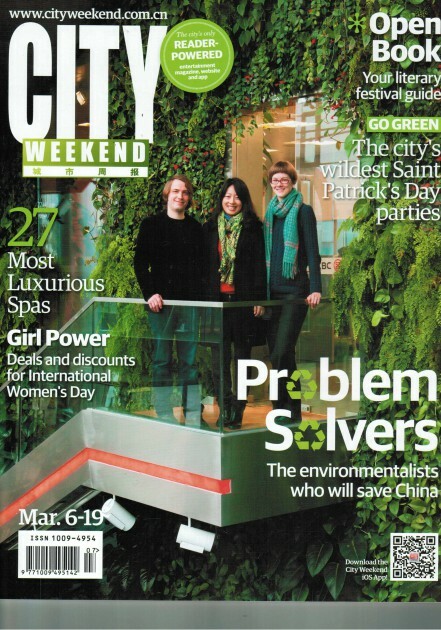 City Weekend, in its March 6-19 2014 edition, featured a piece on an urban biking initiative “Bike to JUE”, which took place during the JUE Music + Art events. The initiative was a collaborative effort by Split Works, NLGX, and Natooke with a simple premise: ride your bike to select JUE events, collect stamps and win prizes. It was a great little initiative to help promote preserving the environment and to reduce the stress of navigating the Dashilan’r hutongs!